There is an exceptionally large variety of natural therapies out there! We endeavor to offer evidence-based natural therapies and from time to time we are able to recruit Complementary Medicine Practitioners in one or another of this wide ocean. 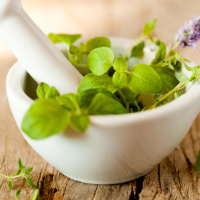 One of our Doctors is specifically trained in Phytotherapy (Herbal Medicine) as well as Integrative Medicine. We work following principles of Western Traditional Herbal Medicine, using medicinal plants that have been utilised for healing, for centuries. These plants are all TGA approved and are backed by years of research and study that prove their pharmacological effectiveness and their safety. We also prescribe nutritional supplements and minerals as part of a holistic approach to whole-systems healing and aiming at achieving the best possible balance to ensure maximum levels of health and wellbeing harmonizing the physical, emotional and spiritual. Health and Wellbeing North Ward stocks a range of quality herbal and complementary medicines for your convenience. Prominent among these are the products from Metagenics which we consider high quality and with good research backup. The Australasian College of Medical Nutrition trains Doctors and Practitioner in the use of intravenous and intramuscular nutrients like vitamins (C, B, D, etc.) and other natural substances in the treatment of a number of conditions, both acute and chronic. The body of evidence is growing all around the world about the efficacy of these treatments for all sorts of infections, inflammatory conditions, etc. Health & Wellbeing North Ward are now offering serial testing on a TGA-approved instrument that measures not only your body composition – i.e. how much muscle, fat and water your body is made of – but also how charged your cellular batteries are and what you have to do to improve your vitality and wellbeing. Enquire with Reception on how to book for one of these tests. At Health & Wellbeing North Ward we now offer an online tool to measure your nutritional needs. This is an online questionnaire which is offered by www.nutricheck.com.au of which our practice is a member. The Front Desk can generate a special login and link for you to access the questionnaire. Costs are reasonable. 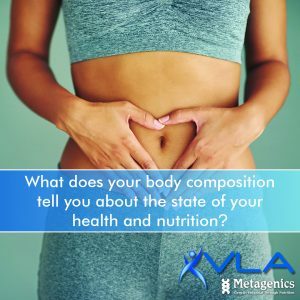 The report which you receive is detailed but it can also be explained by our Nutritional Doctor at your next regular consultation.